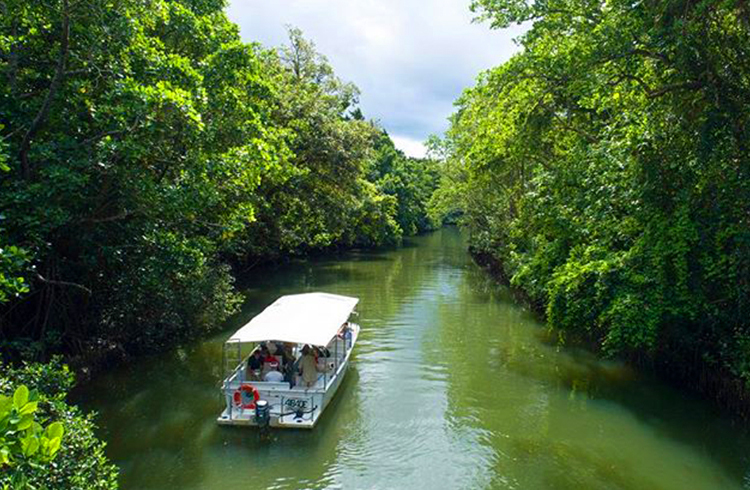 The Daintree Rainforest is the oldest continually surviving rainforest in the world; and it's right in our backyard! 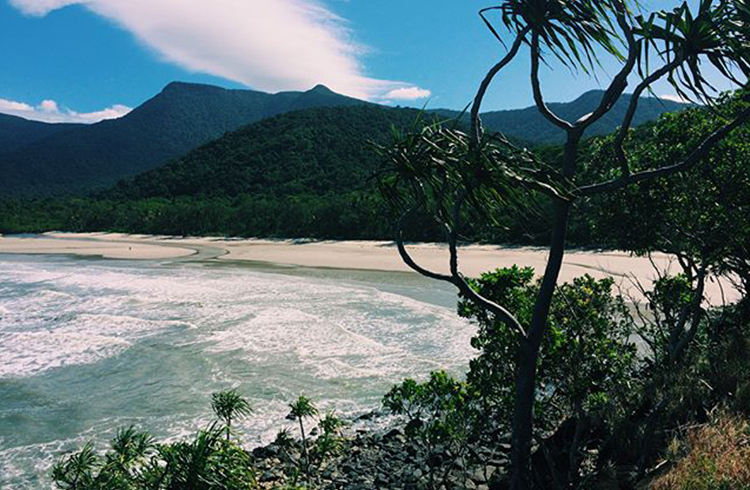 As such a young country, anything that's 100 years old is a good effort, meaning the Daintree is quiet impressive bumping it up our list of favourite day trips. 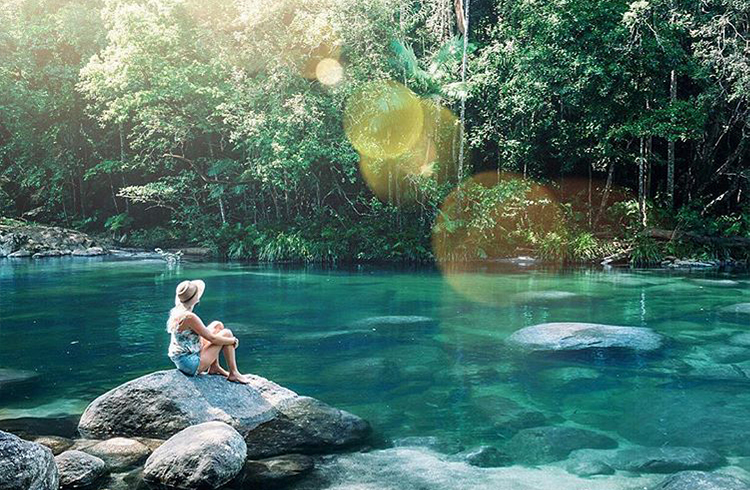 This spectacular world of luscious greenery is an easy day trip when you’re holidaying in Cairns, Cairns Beaches, Palm Cove or Port Douglas. Of course you can also stay right in the rainforest itself too at Daintree Wilderness Lodge. The route is very well marked, so even those with no internal compass can find the Daintree by following the signs. If your journey stars in Cairns, it’s approximately a 2 hour and 20 minute drive. 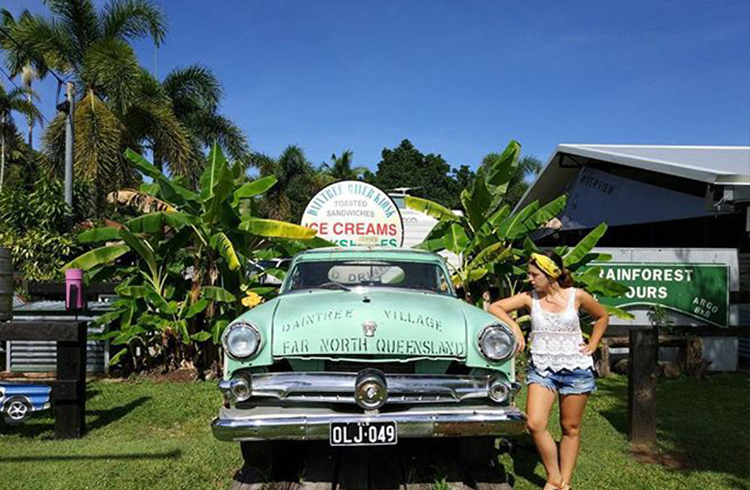 Head north and jump onto captain Cook Highway towards Mossman. Once in Port Douglas it’s a 1 hour 30 minute drive to the Daintree. You’ll need to drive north again on Mossman Daintree Road, which will take you all the way to the river crossing. 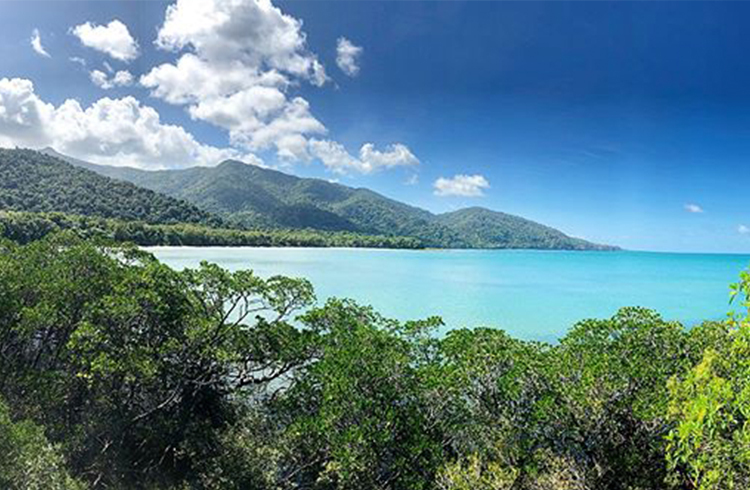 The best way to see everything this incredible destination has to offer is by spending at least one night in the Daintree.. This is the post card picture. The water is magical – it’s both a beautiful aqua green and also so crystal clear you can see the rocks on the bottom. Swimming here is an absolute must, so it’s a picture, although we doubt you’ll ever forget this spot! 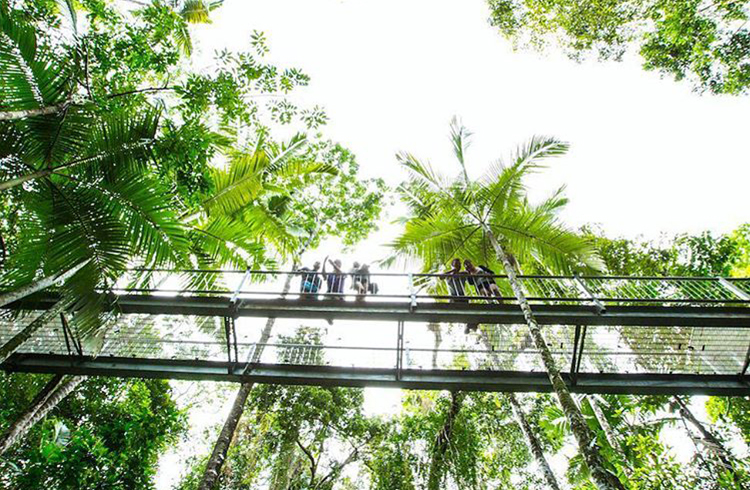 The #1 activity in the Daintree Rainforest is the Skywalk in the Discovery Centre. This self guided tour starts with you collecting your headphones and radio and walking at your own pace through the canopy 11 metres above the ground! 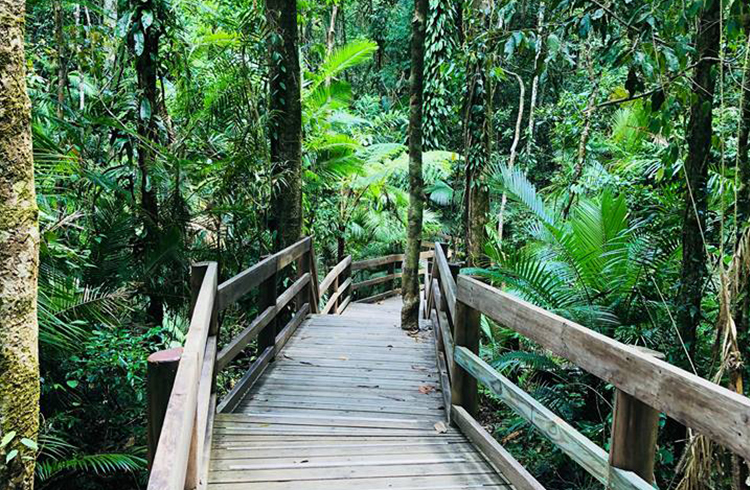 This little board walk is a short stroll through the rainforest a few hundreds metres from the entrance to the Daintree Discover Centre. It’s a great compromise to see the area if you don’t have time to do the skywalk. This little nook is a great place to stop for a post card, bite to eat (especially if you like crocodile burgers) and a swim. 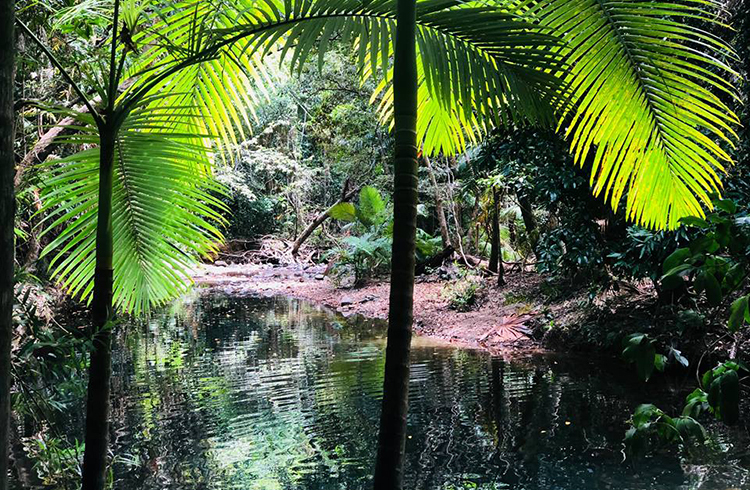 Behind the café is a walk way into the rainforest, a steep embankment ends in an adorable swimming hole. There aren’t many places to sit down here, as it’s a drop off into the water. This is possibly one of the most spectacular swimming holes in the area. You’ll find an old fig tree growing over the crystal clear water, fairy towers, and plenty of pebble shore to relax along. This was one of our favourites, so if you don’t have much time, make sure Emmagen Creek is on your itinerary! Fun Fact: Emmagen Creek runs across the road marking the most northern point of Queensland you can drive along the coastline without a 4WD. 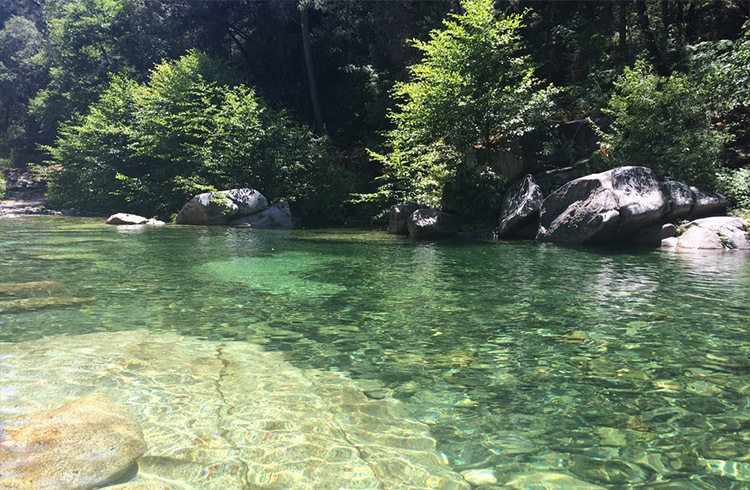 (This is not the swimming hole – it is a short walk from here). This spectacular beach is a beautiful place to stop and take in the scenery. For those who love to walk, you can follow the trail from the beach to Mason’s Swimming Hole and Shop! Once on Cape Tribulation beach, there is an entrance to the boardwalk up to the lookout at the southern end of the beach. This walk is only 10 minutes but rewards you with breathtaking views the undulating mountain ranges covered in rainforest across to the coastline. 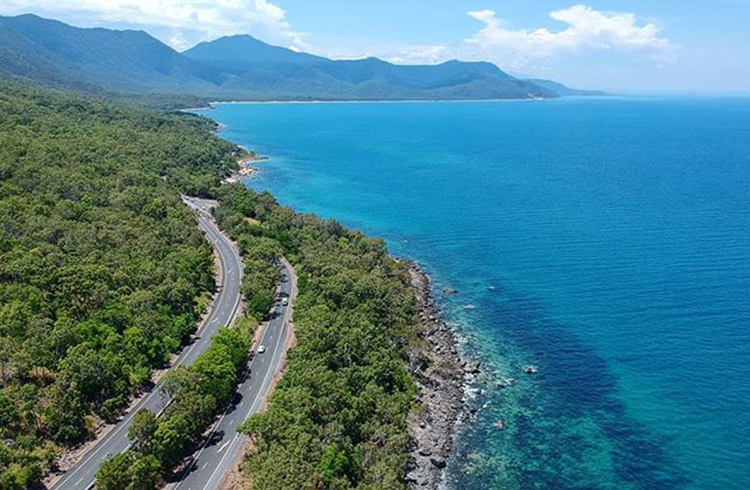 This drive takes you along the coast from Cairns to Cape Tribulation, so there’s no missing it, but like the song says, the journey is part of the adventure! And this coastal drive is utterly spectacular. 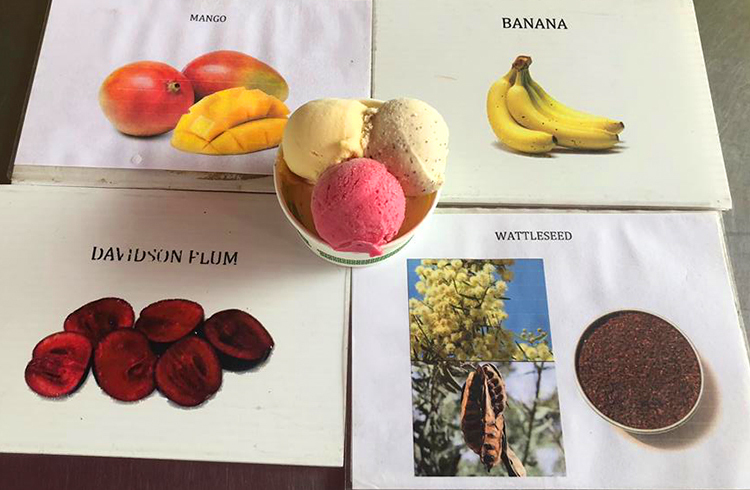 Nestled in their own orchard just north of the Daintree River Crossing, stopping here for a snack is a must! As you turn in, you will drive through the plantation of exotic tropical fruits and manicured gardens before reaching the little shop front. Get ready for flavours like native Davidson plum and wattle seed (that tastes just like mocha!). The river is one of the highlights of the region as much of the wildlife and rainforest can be seen from the water. You can also safely spot crocodiles. Need we say more? 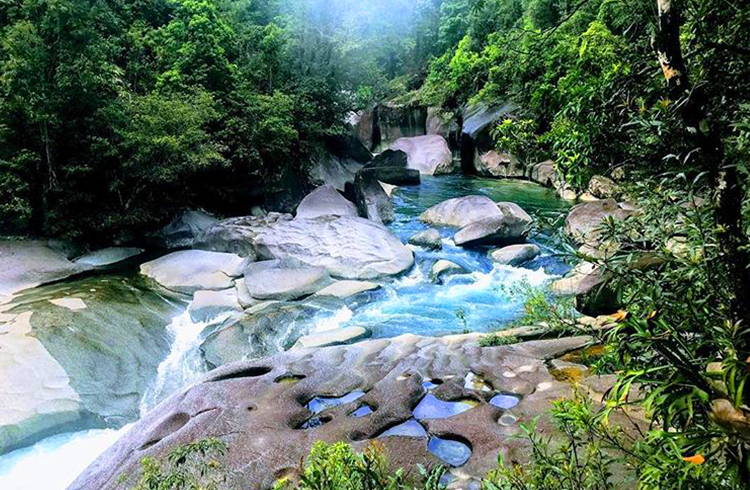 Babinda Boulders is actually south of Cairns but makes this list as a bonus extra because it is one of the most beautiful river systems you’ve ever seen. It looks like a piece of art that’s been created and placed there but is actually the result of river currents carving out boulders over millions of years. The currents make the river very dangerous for swimming, which is only recommended at the designated areas. If you are heading south, this is another must see! Are you inspired? Talk to our Discover Queensland experts to help plan your escape to Tropical North Queensland!